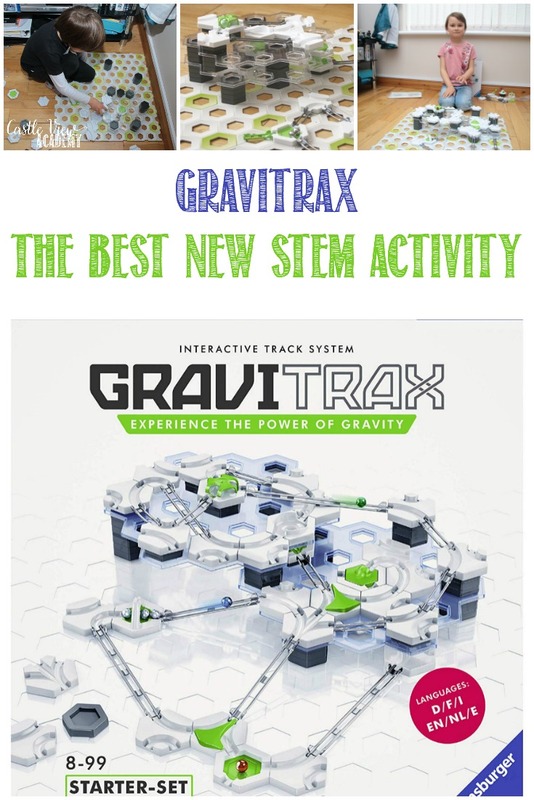 Home » Education » Science » GraviTrax: The Best New STEM Product of the Year! 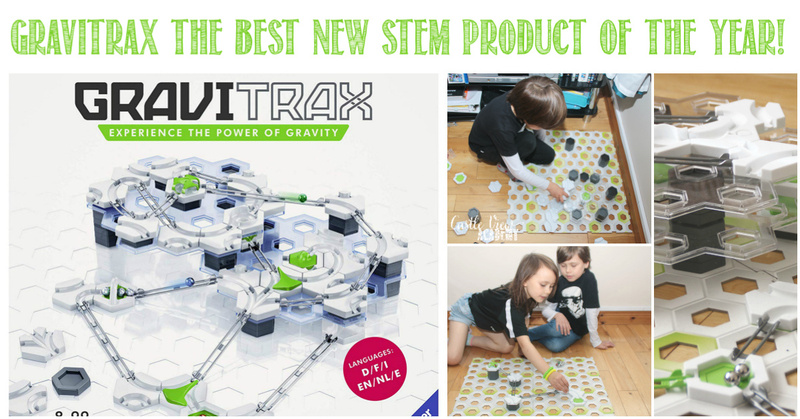 GraviTrax: The Best New STEM Product of the Year! It’s Saturday morning in our home, and all I can hear are click clacks and sounds of joy! After weeks of illness, we’re all feeling much better and a reward for getting the house back in order was that the children could set up their new GraviTrax! 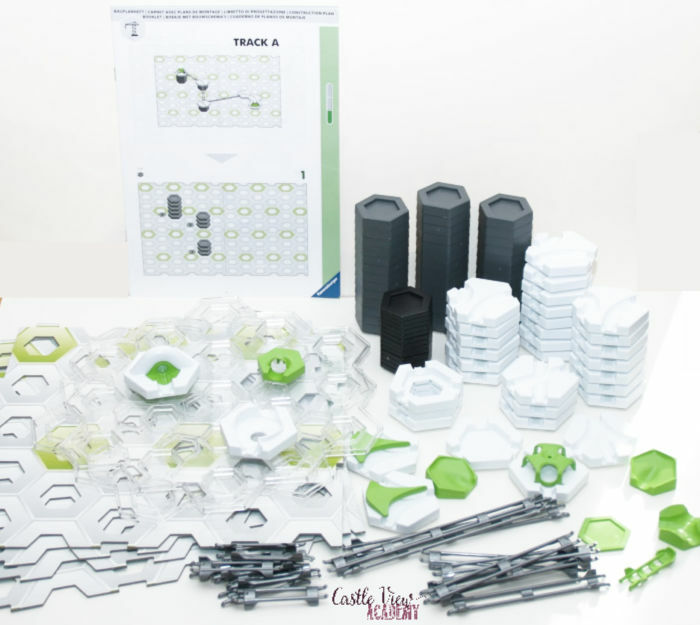 GraviTrax is a new product line that Ravensburger launched this year, and it’s amazing! 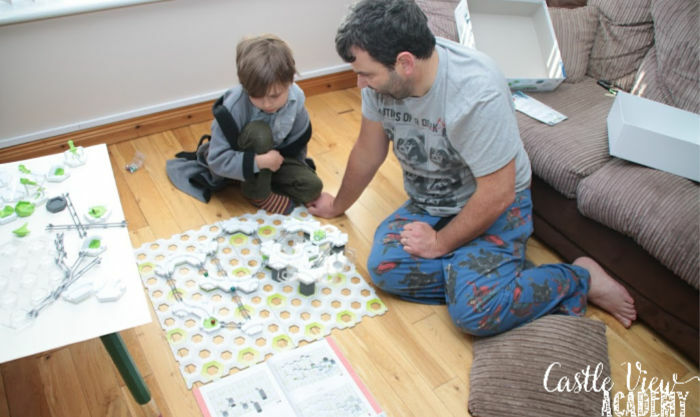 Ravensburger kindly provided us with the GraviTrax Starter (RRP £49.99, currently £39.99 on Amazon) plus 3 add on sets worth £9.99 (or less) each (Catapult, Gravity Hammer, Magnetic Cannon). I’m not sure who was anticipating the moment more, the children or me! I’m all about quality games that have an educational component; but of course, the kids are more interested in having fun than ‘thinking’! The starter kit comes with 16 blueprints for different engaging runs, varying in difficulty from easy to difficult (they’re all labelled and in order to make things easier). For the first run the kids and I worked together to build it and get used to the terminology and structure. It was very easy, but Tristan and Kallista found it very exciting! Although I wanted them to build another track that day, they refused as they were having ‘too much fun’ with it! To build the runs, you follow the blueprints to set the pieces into place. 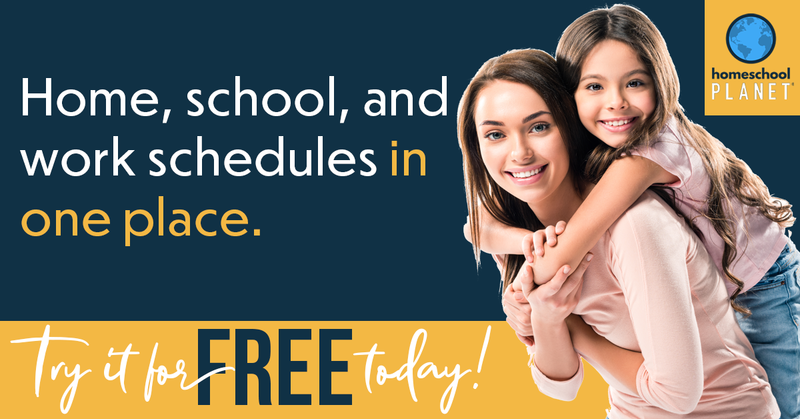 There are pieces for building height, different lengths of track, boards for adding levels, the base boards, and some specialty pieces such as the add-ons: catapult, hammer, and magnetic cannon. 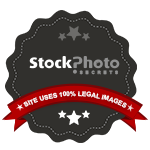 In addition to simply following the blueprints, you can, of course, build your own designs! And if you have a child interested in tech, there is an app where you can build virtual runs before making them in real life. 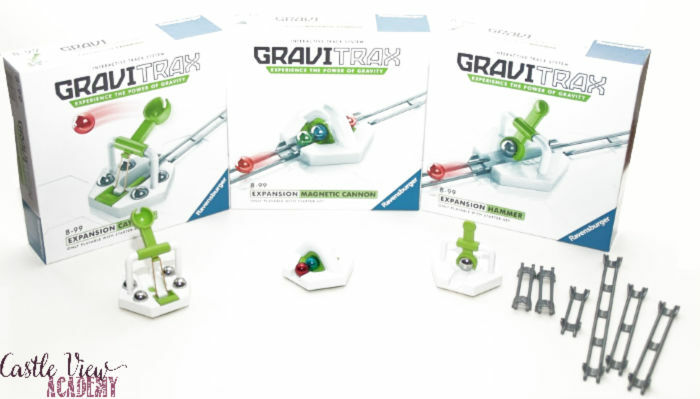 By using Gravitrax, children will learn about gravity, magnetism, and kinetic forces. Tristan is interested in engineering and the same week this arrived (he didn’t know anything about it until it arrived in the post), he was learning about roller coasters. As he was setting up his first run on his own, he was telling me all about kinetic forces! Kallista isn’t as interested in engineering, but she enjoys building and working with things that move and dare I say that she was more excited than Tristan when the first ball ran down the first course; she laughed and clapped and wanted to do it over and over again! 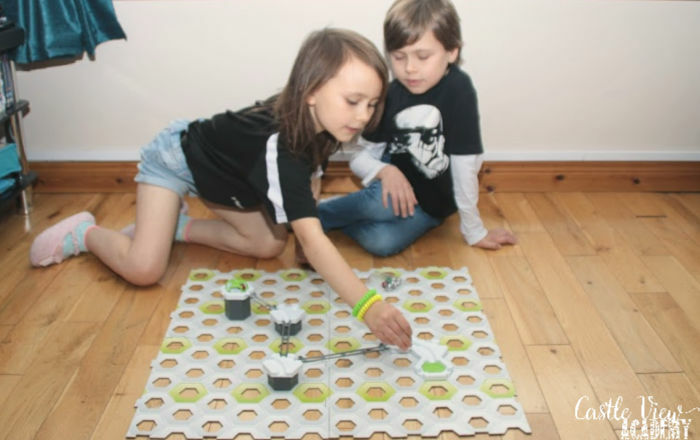 Gravitrax can easily be used by one child (or adult) at a time, but it can also be used in group situations to encourage working together in a team environment and by encouraging each other and coming up with more complex runs (there are also add-ons available with additional tracks and action pieces. 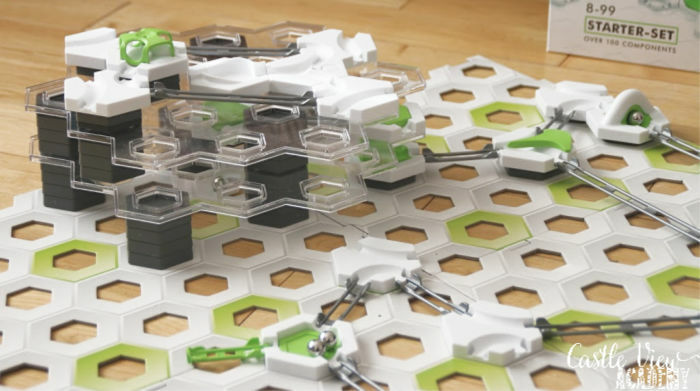 Games like this are truly few and far between where there is such an interest for all members of the family (seriously, us parents are also playing with it), and the STEM component is fabulous! 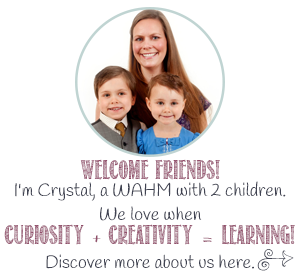 Kids aren’t ‘taught’ the forces of nature and that’s that, no…they’re watching them in action, asking questions, and then interested in looking up the answers and knowing more! Ravensburger’s Gravitrax is available through fine retail stores andAmazon.co.uk and Amazon.com.